I am partnering with Pennsylvania Department of Conservation and Resources, particularly the staff of Nescopeck State Park, located on Honey hole Road, Dennison Township Pennsylvania, for a 2 day digital photography seminar and walk. It will be held on the beautiful grounds of what many of my readers know is my local photographic playground. The first part of the seminar will be held on Saturday 23rd of April, at 1 PM at the educational center building at Nescopeck. On that day we will discuss some basic concepts in photography and digital imaging in particular. This will be offered with an eye towards the thoughtful (and frugal) selection of camera equipment and accessories for those who wish to pursue digital landscape photography. I plan for this to be a fairly free-flowing, reactive format to accommodate photographers at different levels of experience. The second session will be held if at all possible out-of-doors, on Saturday May 15th between 8 AM and 11 AM, as a trail walk with camera equipment. Accompanying us will be a naturalist with the park staff. The goal for participants will be twofold: to expand our knowledge of the Nescopeck Park’s unique and varied ecosystems, and to parley that knowledge into photographic strategies that yield better images. We will also discuss the “nuts and bolts” of photographic techniques to help you obtain the best technical results. Suggested, but not mandatory photographic equipment for the second session would include an interchangeable lens camera with a selection of lenses of varied focal lengths, and a tripod or monopod. You will also need footwear and clothing appropriate to hiking in the day’s weather, water and if necessary, snacks. We will meet outside of the educational center, and be transported to the trail head. For more information, to register, and for updates, you can visit the Nescopeck State Park website, or their Facebook page. 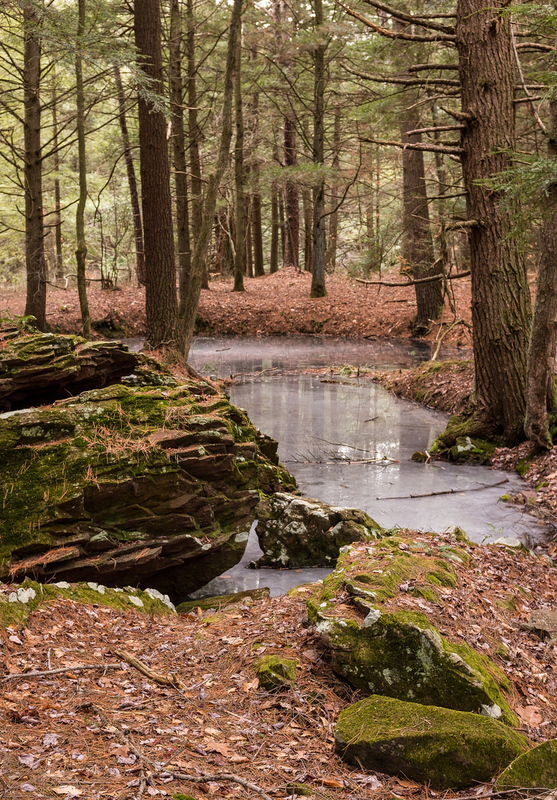 This entry was posted in Pennsylvania photography, Photography, Uncategorized and tagged Eastern Forests, Henry F.Smith Jr, Hickory Run State Park, Nescopeck State Park, Pennsylvania photography, Photography. Bookmark the permalink.